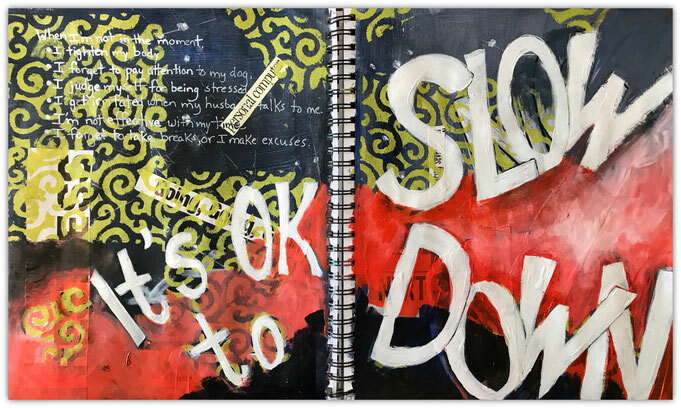 My daily creative process is a combination of written and visual journaling that guides me to shift from a nasty habit of overthinking….to empowered reflection. 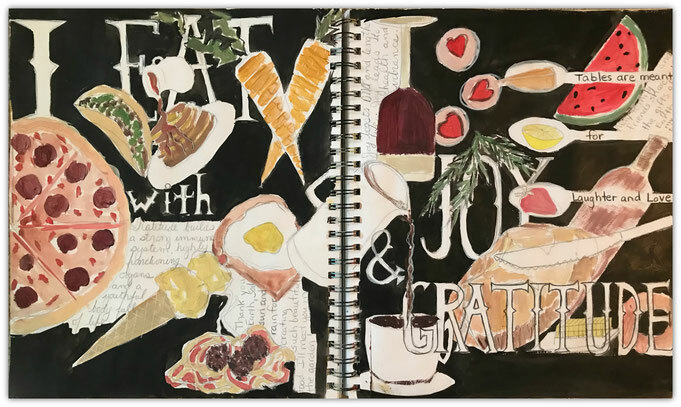 While my initial goal for creative reflection was to release illness and pain, I found much more than restored health. I also found emotional deadness, grief, and hidden anger. Leading to a new pathway of exploration: self love, self-care, and empowerment. To the degree that I have learned to communicate my needs to others for the first time in 50+ years. Most brilliant of all? I can now allow the discomforts of life to act as my teachers and not my tormentors. 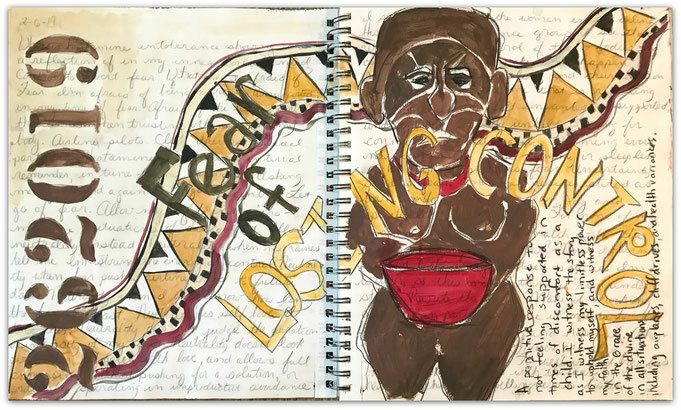 Currently, my main themes of healing involve deep seated stories of unworthiness. Labels that say I should stay small and hidden forever. While I’m not a person who likes being in the limelight…I am a writer and a multi-faceted creator. Which means, that unless I want my ideas to stay in my notebooks forever, I need to step out. So I work it out in words, colors and images EVERY DAY. I was a hard sell for anything “woo-woo” or creative. Which is why I want to inspire other logical left-brainers to discover that words are healing jewels. Syllabic innovators with unlimited creative capacity to explore the unknown. And arise, with ink smears…paint spots…and wisdom. I write articles addressing the process of reflection in all its forms. 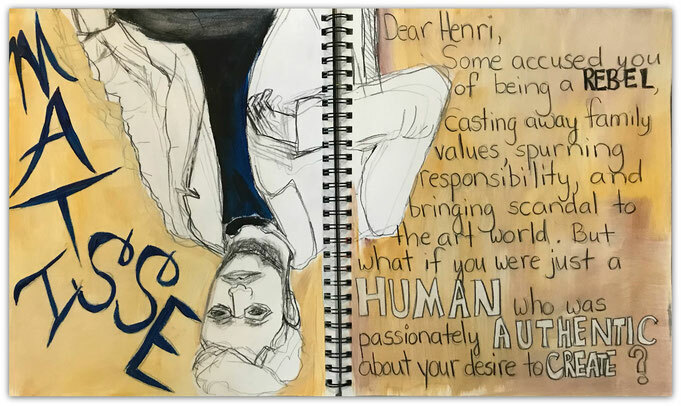 I also post journal prompts, and provide visual examples of art journaling AS A PROCESS (not for cutesy art exploration). My favorite phrase is, "What if your purpose is simply the process? If that was true then you couldn’t get it wrong.” My daily mantra for overthinking. 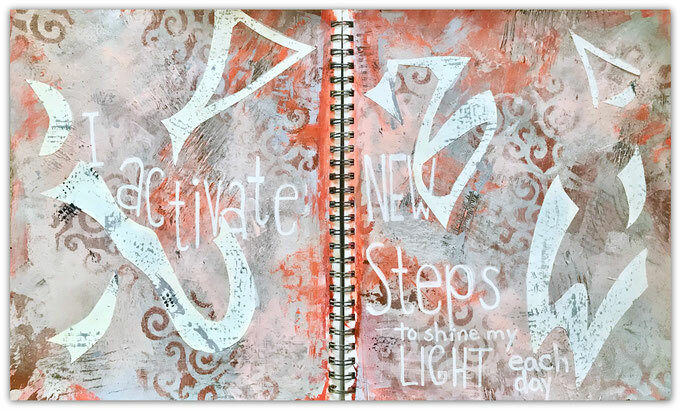 (In the future-art journal courses). Written for all active inquisitive Baby Boomers (born 1946-1964), and our retirement predecessors (born 1928-1945). Articles, courses, and quests designed to spark the most groovy and meaningful retirement ever. Soon to be published, an interactive guidebook, Boomers & Beyond…Rocking the Retirement World.